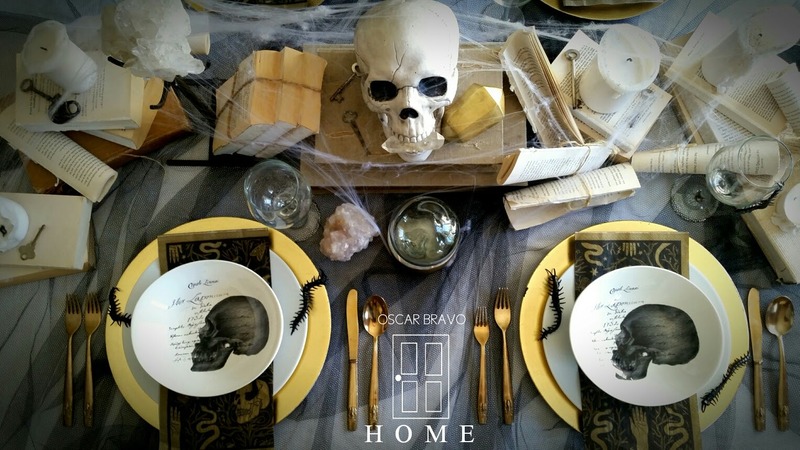 Oscar Bravo Home: Halloween Tablescape - How Much Did It Cost? Halloween Tablescape - How Much Did It Cost? 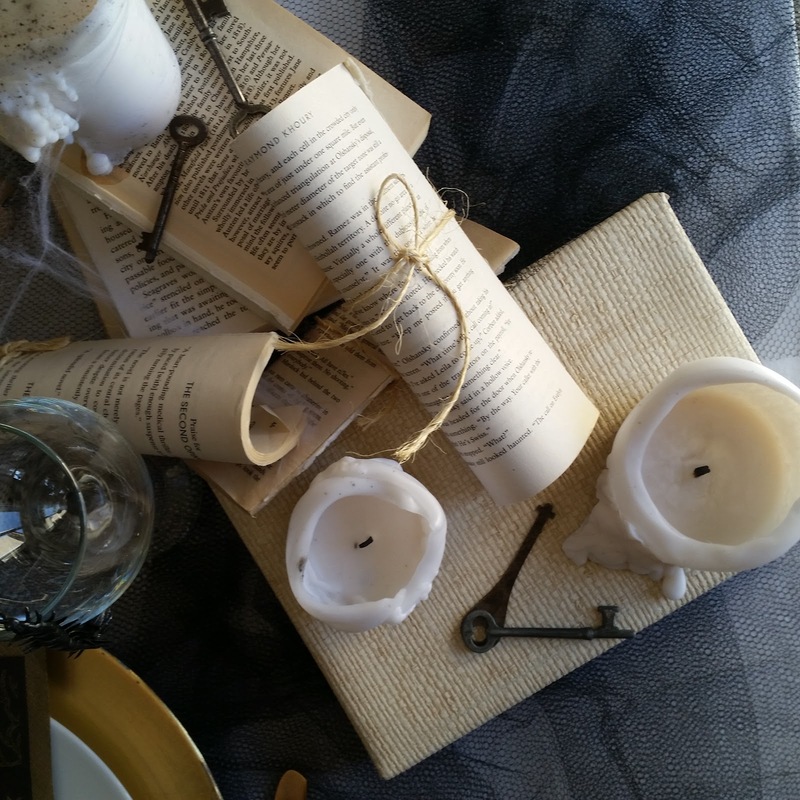 Halloween is in 10 days and my family and I are very excited this year because we are hosting a Halloween dinner party with family! This year will be my first year decorating my dining table for Halloween and it was so much fun, and unbelievably inexpensive. 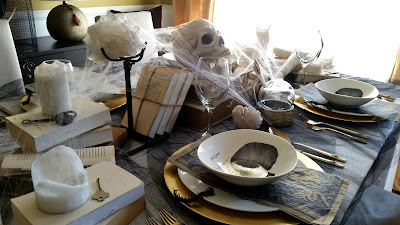 I am going to share with you how much it cost me to set up this spooky table because I want you to know that you don't have to spend a lot of money to get a nice tablescape going! 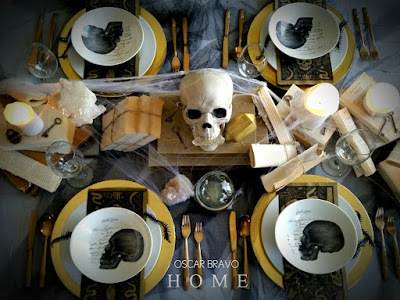 Now this tablescape was a bit easier for me to accomplish on a budget because as a decorator I have a few decor accessories already in my inventory. But trust me, they aren't expensive! 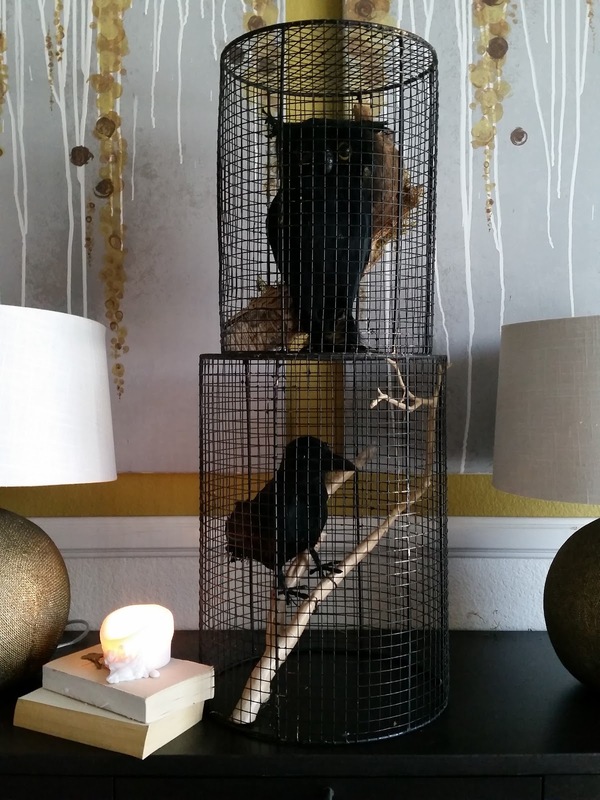 The first thing that always comes to mind when I decorate my own space is what I can use that I already own. I recommend shopping your home first before going out to buy all new things. Lets start with what I already had available because that is free. Well, it is now, but I did buy them once. First, I thought of the tablecloth. i didn't own any spooky tablecloths, and I know that I wanted either a black or white background on my table. I DID however have a white bed sheet, so VOILA! There's my white background! 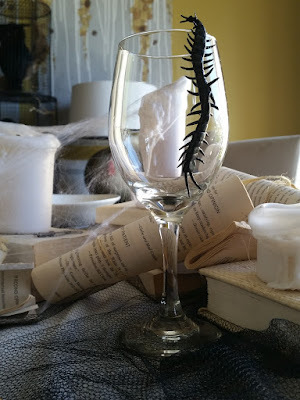 Then for an eerie effect I threw on a black piece of tulle that I had in my garage. 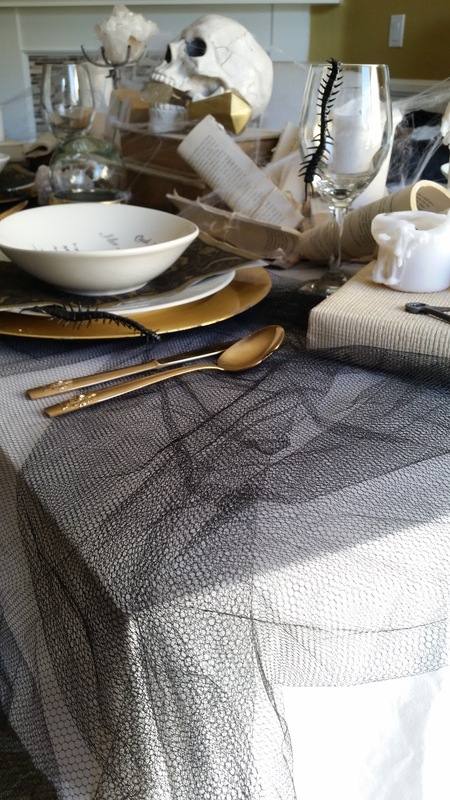 Next, I thought about the table runner. I wanted the overall look of my table to have an "aged" look. I immediately thought of adding my old paperbacks going across the whole table. If you don't have any paperbacks, you can purchase some for less than a dollar at your local thrift store. I tear the covers off mine for a nice neutral look. Next came my centerpiece. I found this cool skull at Target for only $5.00. I thought it was the best looking skull out there. Super realistic and I liked how the jaw opened up. The spiderwebs are from Dollar Tree, so $1.00 for those (I hope you knew that). Next came the dishes, flatware, glasses and all the other necessities for a dinner party. I had everything already in my cabinets with the exception of the bowls. The bowls with the cool skull on them are from Marshalls and they were $3.99 each. If you need chargers and white plates, I recommend you go to IKEA for the plates and the 99 Cents Only store for the gold chargers. That's where I got mine! Oh, and they have wine glasses too! The napkins are from Target and the pack was $1.00. I thought the pattern was super cool and interesting. The black rubber centipedes were from Dollar Tree. Total cost for 4 place settings: $18.00 (plus $4 if you need gold chargers). After I had my table all set up, I realized that I needed to dress up my sideboard for Halloween since its right behind the table...and also because it would make a great pic! I had these black wire baskets in my bathroom that we use to store toilet paper and I immediately thought they would make a great "birdcage" for these creepy birds that I found at Walmart. One was about $5 and the other one was about $7. So there you have it! 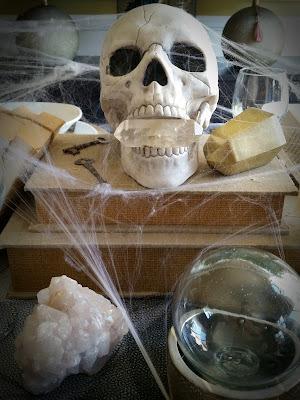 Like I wrote earlier, I know some of you may not have a few of the items that I incorporated into my Halloween table, but I recommend you get creative and start by using what you DO have in your home and build from there. I also recommend that you invest in some inexpensive basics like white plates, neutral chargers and table linens so you can use them again and again for any occasion. 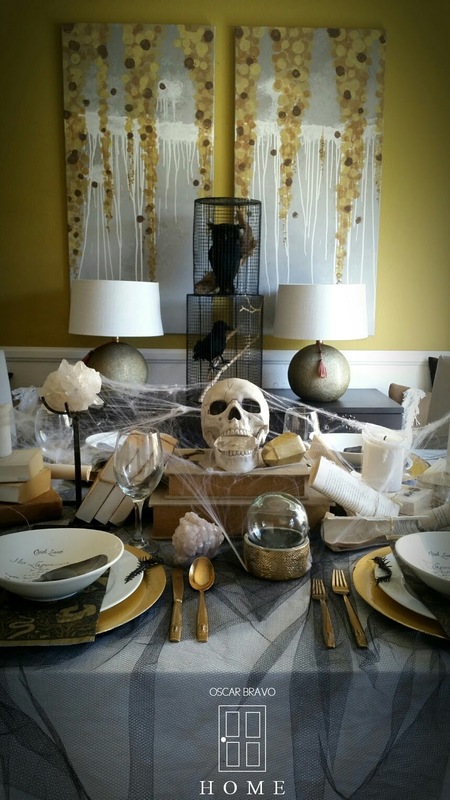 Then you can add some festive touches with a few accessories. I will be able to use all of my new Halloween decor next year! Maybe I can pull off a new look next year without spending a dime! I hope you all have a fun and safe Halloween this year. It lands on a Saturday, so PARTY IT UP! Since we are on the topic of tablescapes... 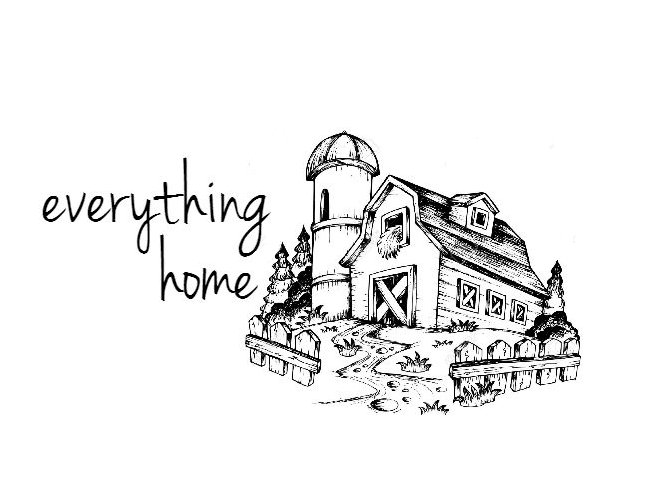 I wanted you all to know that I am a writer for a new digital mag, "Everything Home Magazine"! 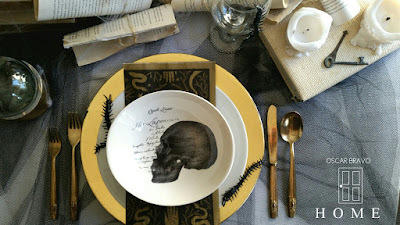 I will be writing a column on tablescapes each month. What I love about this magazine is that it is written by Instagrammers, Bloggers, and other talented people that all share a passion for living wonderfully and making the best of what you have. This was the amazing idea that my good friend Collette from Collette Osuna on Instagram. Collette is the Editor-in-Chief of "Everything Home Magazine" and she rounded up a bunch of Instagrammers to contribute to the magazine on a monthly basis. Please check out Everything Home Magazine and subscribe to this free digital magazine so that you can see our first issue which comes out November 1st! You are so creative!! The books, the toilet paper holders?? You impress me every day, Oscar!